There were a couple of very fine elite performances in Berlin on Sunday with the season not quite complete for our #SALSuper16 World Champs athletes. 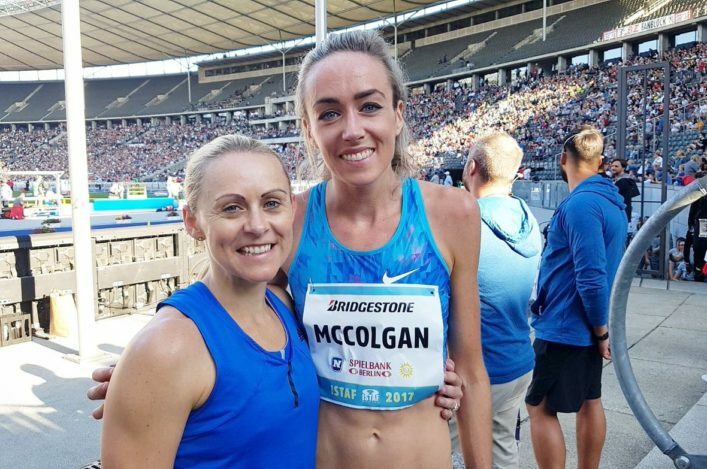 Following on from good runs at London 2017 and the Birmingham Diamond League meeting, Eilish McColgan clocked a 4.01.60 PB in the 1500m. The Scottish 5000m runner finished second in the race to German winner, Konstanze Klosterhalfen, and that time is within within 0.22 of the best time ever run at the distance by her mum and coach, Liz (4.01.38) and takes Eilish to fourth on the all-time list (with her previous best at 4.03.74). Eilish was delighted with the pace-making assistance of Jenny Meadows, who along with Kelly Sotherton will Guest of Honour for our Annual Awards Dinner in Glasgow on November 4. And for Andy Butchart there was a fourth place in the 5000m with a run of 13.12.73 as he keeps pushing for the very top at that distance. 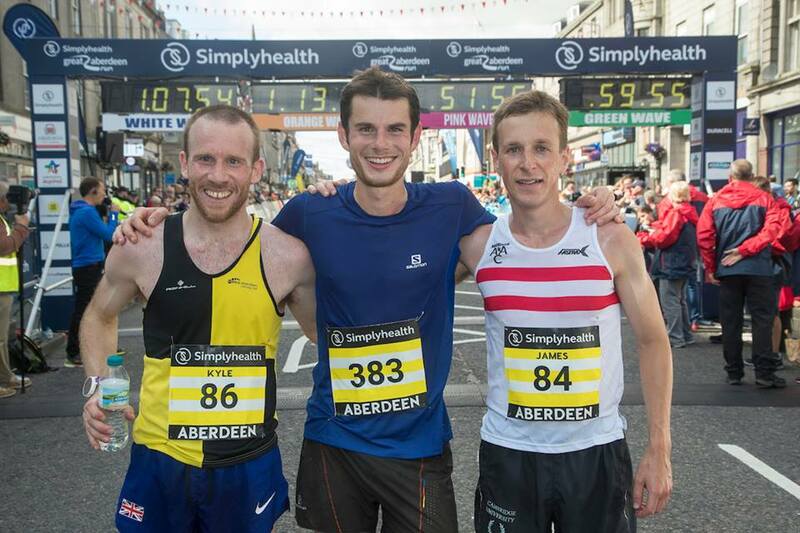 Deeside athlete Robbie Simpson flies off to mainland Europe today having achieved his goal of winning the half marathon at the inaugural Simplyhealth Great Aberdeen Run. The 25 year-old mountain running specialist won in 68:41, but he could never afford to completely relax as Aberdeen AAC’s James Hoad put in a dogged challenge to finish just 20 seconds behind. Kyle Greig was third in 71:46. 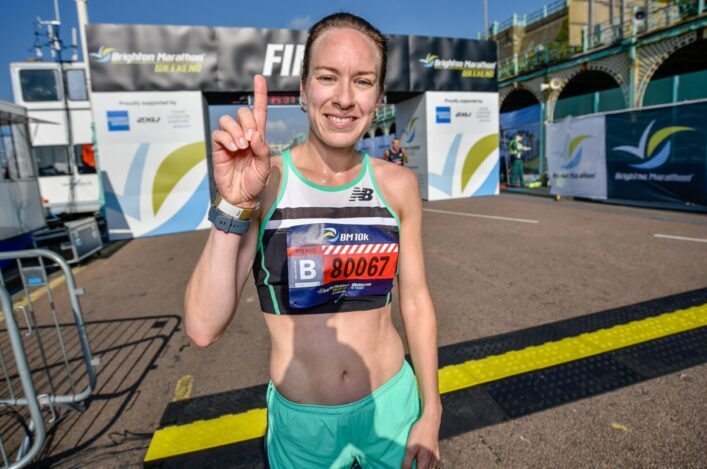 Glasgow-based Irish athlete Fionnuala Ross scored an emphatic victory in the women’s division of the run when finishing ninth overall in 76:56. 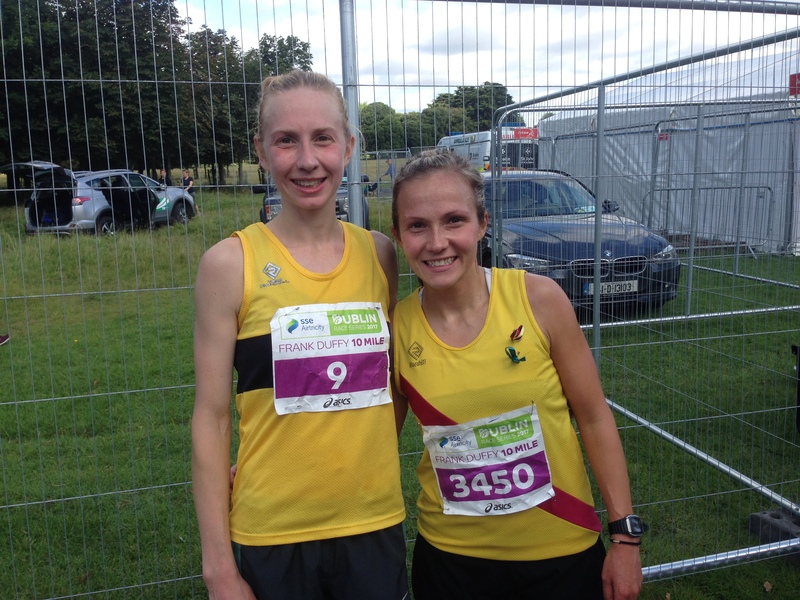 Welsh athlete Clara Evans finished second in 73:48 and Metro Aberdeen’s Jennifer Elvin took third position in 76:26. Although there were 8,000 people taking part, Kenny Wilson experienced nothing other than the loneliness of the long distance runner when breezing to an impressive win in the 10km in 31:54. Scotland cross country international Fiona Brian completed a significant double by winning the top women’s prize in the 10km. The Metro Aberdeen runner, who also won the Aberdeen Baker Hughes 10km women’s title in May, recorded 36:31. Allan Smith finished fourth in the high jump competition at the World Universities championship in Taipei. Allan, coached by Bryan Roy and representing Edinburgh College University, was narrowly close to a medal in the men’s high jump, just missing out in fourth place in an entertaining competition. After a successful second attempt at 2.23m, it wasn’t to be at the 2.26m height despite going close on the three attempts. 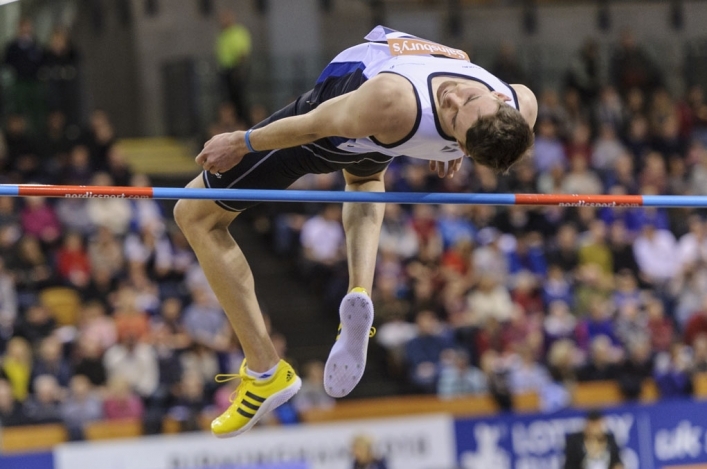 The event was won by Germany’s Falk Henning Wendrich in a personal best of 2.29m. The Scot had eased through to the final in qaulifying clearing 2.10 and 2.15 at first attempts. Three Scottish athletes took top four places at the Frank Duffy 10 Mile Road Race in Dublin’s Phoenix Park on Saturday. Kilbarchan’s Gemma Rankin just lost out in a sprint finish in the women’s race with Irish marathon champion Laura Graham in in a time of 58:57 on a hilly course. Her Scotland team mate at this year’s Lillebaelt Half Marathon, Jenny Bannerman (Inverness Harriers) was fourth in 60:17, and Inverclyde’s Craig Ruddy was fourth in the men’s contest in 53:03. It’s not every day a world record is set at an event in Scotland. 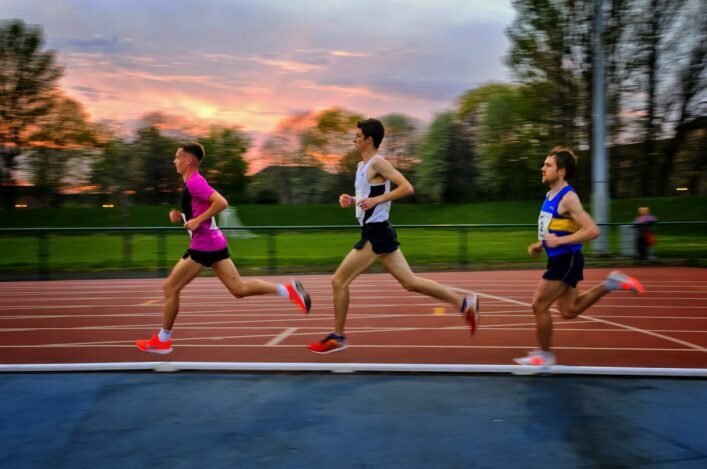 Multi world record holder Gavin Drysdale of Red Star powered round the Crownpoint track in the race running evnet at the Shettleston Harriers Open Graded event last week to add to his impressive list of records, as he clocked 2.46.69 for 800m in a world record time. Gavin is a well-known competitor in the Race Run event and is coached by Janice Eaglesham MBE. Congratulations to both on this great achievement. Shettleston Harriers have been amazed by the interest in their two open graded events support by the Milnbank Housing Association. Entries have needed to be closed well before the original closing dates. Close to 600 athletes will compete over the two evenings.